The Clamp Tile is a bipolar voltage clamping utility for CV and audio. 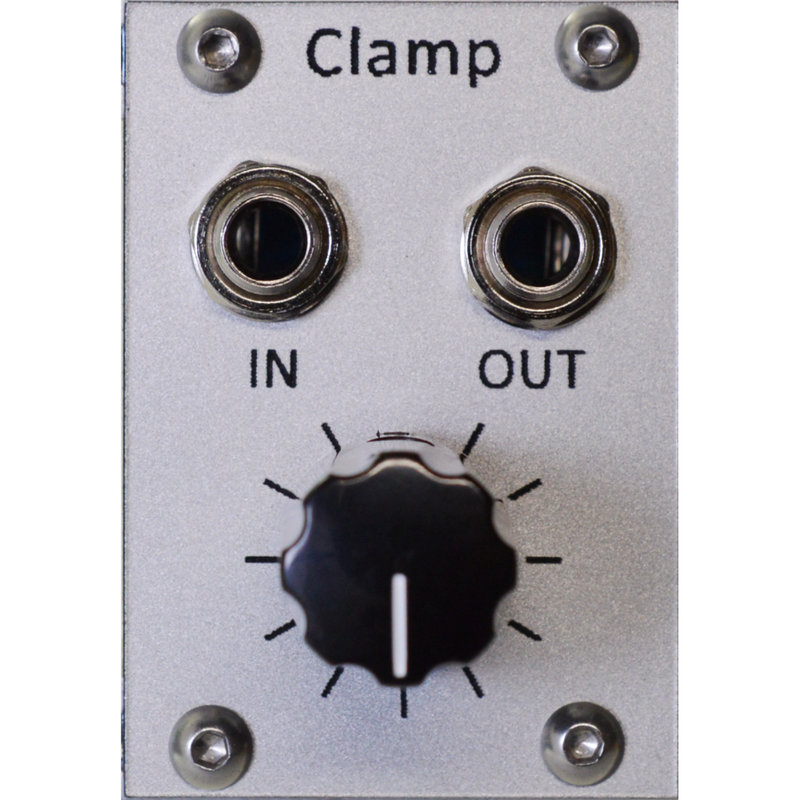 When used on a control voltage the Clamp will set the maximum and minimum range of the CV signal where signals above (or below) will be held constant. 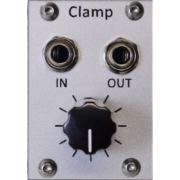 When used with audio the Clamp is a hard clipping waveform modifier/distortion. When the control knob on the Clamp is fully counterclockwise the input signal is passed to to the output unchanged. 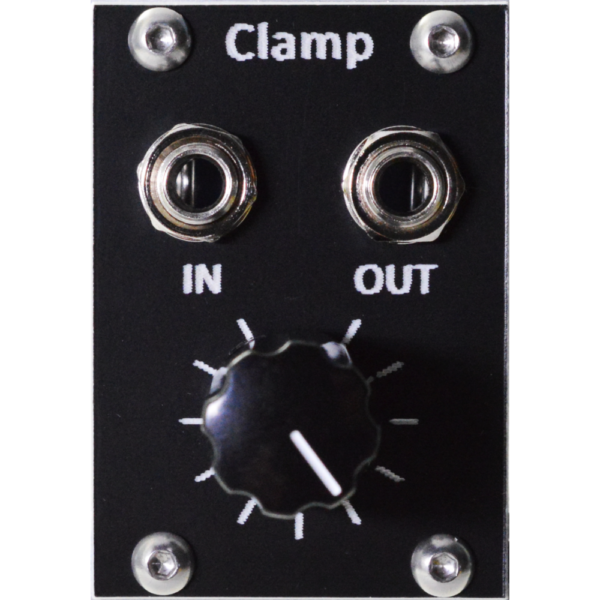 As the knob is rotated clockwise the Clamp will limit the maximum and minimum excursion by clamping (hard clipping) the input signal.